Each December 1, World AIDS Day places the epidemic in the global spotlight. This year, we wanted to look at one of the most persistent challenges people living with HIV face: stigma. 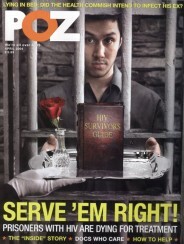 Stigma simply refers to the negative attitudes and beliefs (often erroneous ones) about people living with HIV. In short, it’s prejudice. And it can be deadly. Because of stigma, many folks are afraid to get tested. Some skip their meds and doctor’s appointments. Stigma can keep you from reaching your fullest and happiest potential in other ways too. Maybe you have been given plastic utensils at a family function or been ghosted by a potential love interest after disclosing your status. Perhaps a physician or coworker treated you differently because you are HIV positive. You’re not alone. 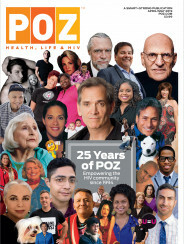 We asked members of our POZ Personals community to share their stories about HIV stigma and then to explain its lasting outcome—for example, whether the experience changed their viewpoint or imparted some wisdom. Below is an edited selection of stories and outcomes. You can read a related collection of stories about dating and hooking up here and here. Some of these people use their real names; others prefer their screen names or initials (because of, you guessed it, stigma). Every one of them also offers a story strength. Even when faced with unfair discrimination, these people with HIV remain resilient. Story “Texas overall is very conservative, but rural West Texas is even more closed-minded than the rest of the state. I am fortunate and blessed enough to have an extremely good HIV doc in Midland/Odessa, but I would never think about finding a family doctor in the small town I live in for obvious reasons. I have shared my status with a couple of local friends and my employer, but it’s a challenge to really trust anyone in this small town. When I was first diagnosed, it reminded me of ‘the old days’ when gay people were bashed or their homes were vandalized. I could see this happening in the town I live in if the wrong people found out.